If I have to read about dew on tulips one more time, I’m gonna die. 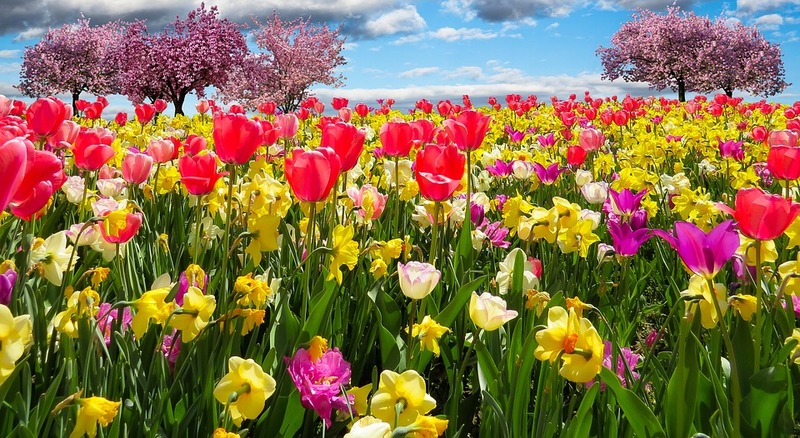 However, more than allergies, more than cyclones, more than sunburns and cancer from space, the biggest problem I have with Spring is the way people choose to describe it. So much of what I’ve read borders on Looney Tunes-esque parody that I wonder if those chosen phrases, the mist and the daffodils and the buzzing bees and the rainbows coming in through the window are just copy/paste shorthands from a book nobody’s ever read, that takes less effort to put on a page than a noir detective does to quietly dismiss a woman’s personality. I wonder if some group of us have convinced themselves that things like this are necessary fixtures rather than potholes, something so apart from a compelling visual setting that it skips straight into anesthesia. Equally tiring is the opposing view. The one that, despite the implicit positivity of the season, casts a glum and dismissive look at its contents. When the sunshine and tulips isn’t enough, when the rainbow and the children outside are missing the point, and we’re all ignorant for thinking goodness is rewarded and seasons are anything but cosmic drift. Am I creating something brand new, weaving place and time together to really make the point of this story stick, or am I just badly quoting A Winter’s Tale again? Am I writing something unique and worthwhile about decaying flowers and forests or exorcising demons I have from watching Bambi too early? A season or a setting can feel entirely inconsequential, but I find that this is very rarely actually the case. Time and place are so wrapped up in story that to ignore it save for a few tacit details is to err. What it comes down to is constructing a truth that matters. You might have heard this in a writing class before this but it bears repeating: Every detail has a point, every setting breathes. Spring, for example, breathes wistful breaths. Less heard is the follow-up: A detail is only as important as it is singular, each setting only as it is felt. There are times when I remember being so struck by a work’s environmental honesty that it alone held my attention. A Serious Man, the Coen film, did this with summer. It didn’t need heatwaves, or sweat beads wiped with a neat handkerchief, all it needed was a guy standing on his front lawn, watering his grass, squinting slightly. The characters lived it, and they did in such a way that you’re convinced it’s imagery deeply emblazoned in the creator’s minds. So go out there and find someplace expressive. It won’t necessarily be obvious. Listen to conversations and have some yourself, occupy spaces felt deepest past the equinox, listen to the weirdest songbird in town, live the Spring that’s worth living and come back to me. And say nothing of tulips.